Born in Pokrovka, Odessa pr. (Ukraine), 1896. Studied at Odessa Art College 1912-18/19? ; at Odessa FREE ART STUDIOS 1920-21; at Odessa Polytekhnikum of Visual Arts 1922, 1926/27?-27/28? Active in Odessa, Ukraine. Exhibited with KOSTANDI SOCIETY 1920s. Died 1980s. 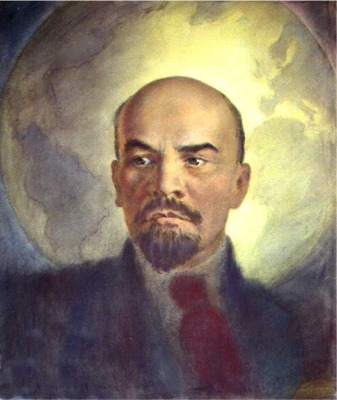 "Lenin in front of the World Globe", crayon on paper, 58 x 50 cm, 1937.